In summer-2017, the land trust began work to restore the large marsh at Forever Forest. Previously, the marsh contained standing water that supported native aquatic vegetation and excellent habitat for wildlife. However, it appears that sometime during the mid 2000s, two low berms that retained the water were breached, perhaps by a major flood that occurred in 2005 (see Marsh Aerial views 91-05). Over the next decade, the marsh remained dry causing most native vegetation to be replaced by a non-native, invasive reed (Phragmites). 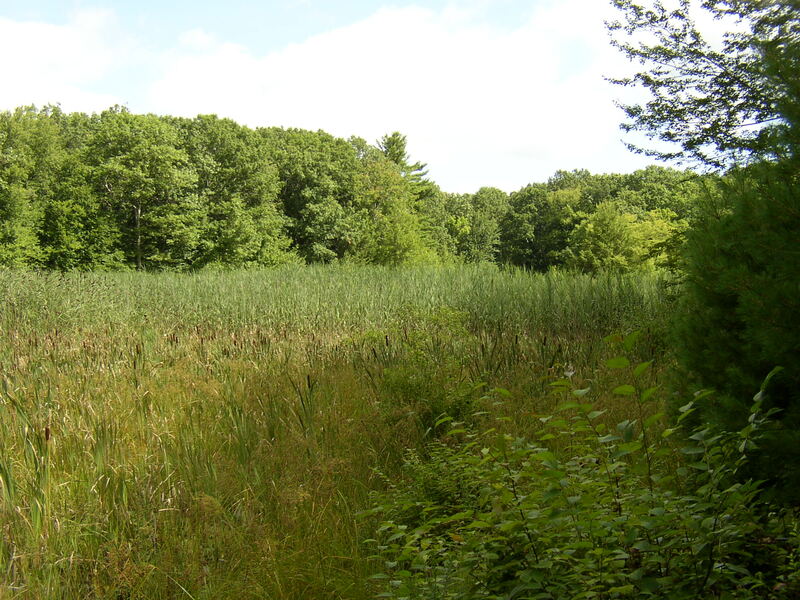 Phragmites grows in tall, dense stands that provide poor habitat and a low aesthetic value. 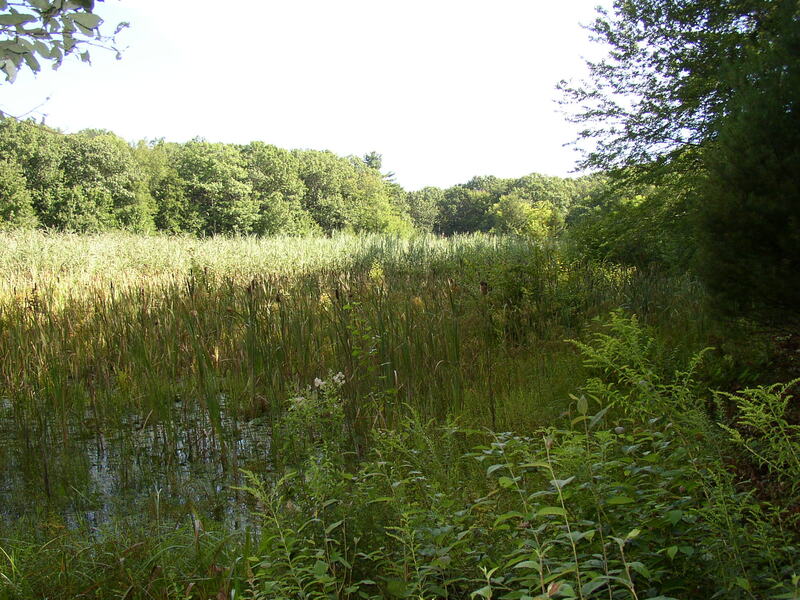 Last summer, the 2-acre marsh at Forever Forest continued to have a dense stand of reeds with no visible standing water. The trust discounted any use of herbicides, but instead sought to reduce the reed by re-watering the marsh. We planned to do this by plugging two 7-10 foot-wide breaches in the berms with sand bags. We would need to use a total of 70 sand bags to fill both breaches. This would be a difficult task since we would need to haul the bags weighing a total of 1.75 tons over a quarter mile to the work sites. Fortunately, these challenges were not insurmountable. We received volunteer help from the kids attending the Wilderness School as well as from a good neighbor who allowed us passage on his adjacent woods road. 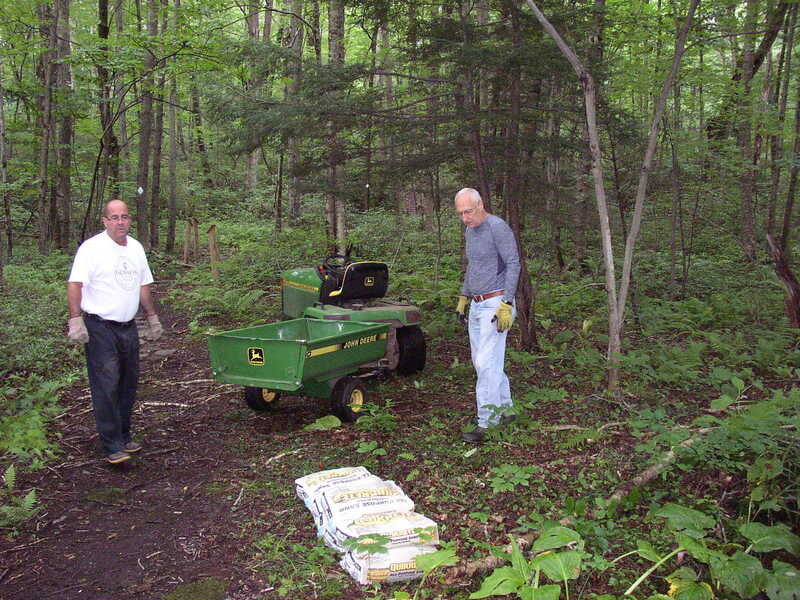 Land Trust members, Bob Hart and Eric Rahn hauled sand bags with a tractor along the woods road that came close to the property’s trail and within 200 – 500 feet of the two breaches. 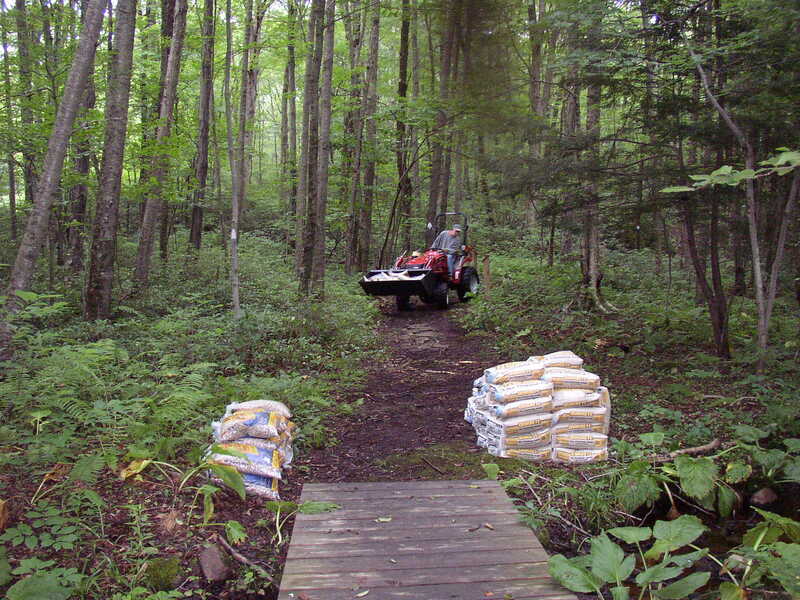 Forever Forest’s Land Steward, Steve Craig, also used the bucket of his tractor to haul the bags. On August 7, the Wilderness School came to Forever Forest to help with the marsh restoration project. The School is run by the CT Department of Children and Families (DCF). It is designed to foster self esteem, personal responsibility, and interpersonal skills of young boys and girls attending the program. As part of the program, the kids are required to perform community service. 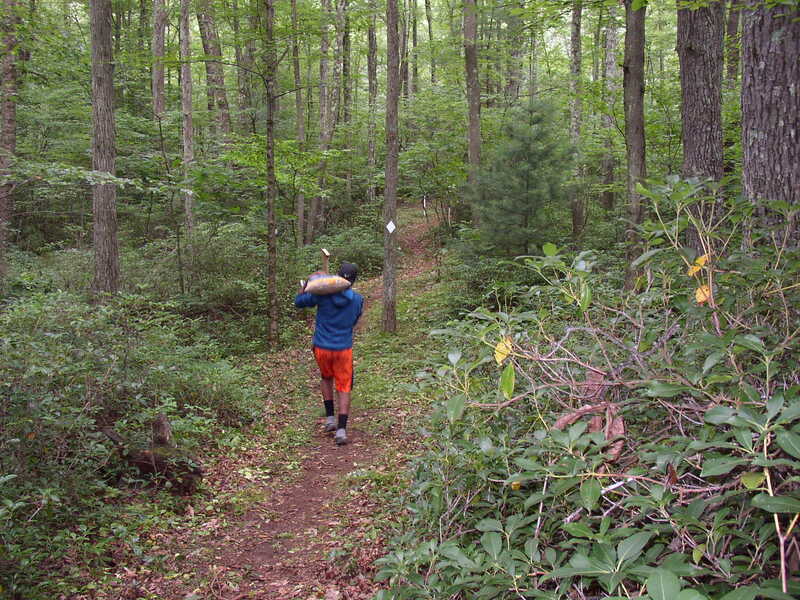 Prior to heading out on the trails of Forever Forest, students were told about the property, the restoration project, and how their help would be needed. 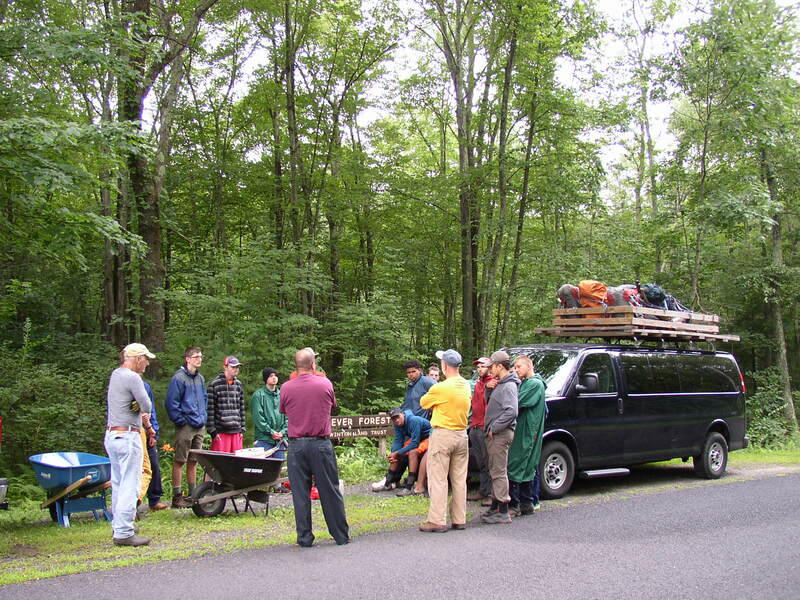 This was the fourth consecutive year that the land trust received help from the Wilderness School, and once again the students did an outstanding job for us. Their help is always greatly appreciated. Students and counselors from the School enthusiastically shouldered 50-pound bags along the trail to the work sites. 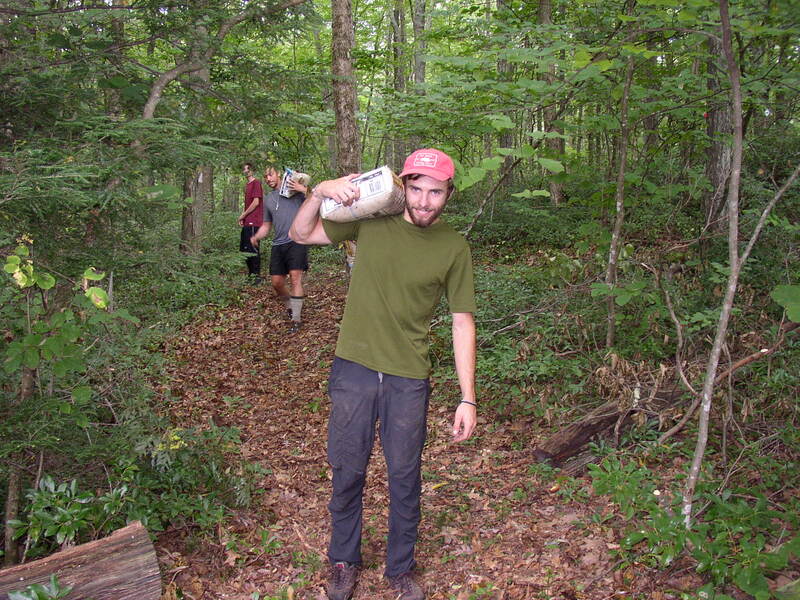 The students had to carry the heavy bags nearly 500 ft. along the trail to the farthest breach. Students and land trust members worked together to rebuild the dikes. 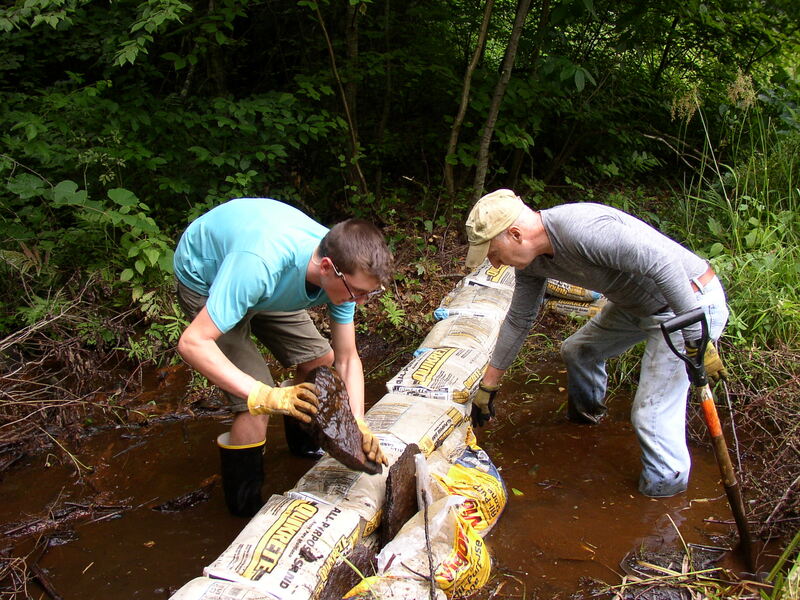 Surrounding rocks and soil were used to plug leaks and to provide a more natural covering over the bags. A week after the breaches were plugged, standing water began to appear in the marsh vegetation. It is likely that much of the marsh will now be covered with up to a foot of water. Some additional work will need to be done on the refilled breaches to better naturalize their appearance, to stem minor seepages, and to direct more outflow to the area’s historic eastern stream channel. Such improvements were completed by land trust members in fall 2018. We hope that over the years we will see a reduction in the cover of Phragmites and an improvement in the marsh’s habitat for wildlife.